Marilyn Monroe's white "subway" dress sold for more than $5.6 million in a Beverly Hills, California auction Saturday night in which bidders paid another $2.7 million for three other Monroe movie outfits. Collector Keya Morgan said Saturday's bids were "totally crazy, especially in this recession." 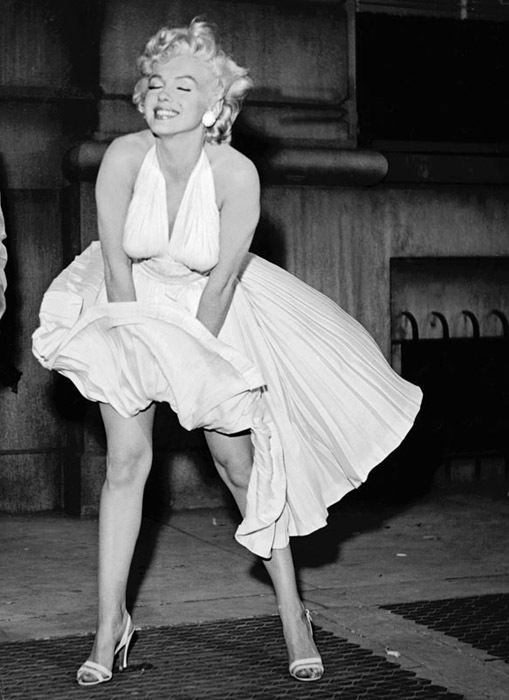 Bidding for the iconic ivory pleated dress Monroe wore in "The Seven Year Itch" was "totally magical," Morgan said. Reynolds was in tears when, after 20 minutes of drama, the gavel sounded an end to bidding with the price at $4.6 million. With the auction company getting a $1 million commission, the buyer will pay $5.6 million. It had been expected to sell for $2 million, the auction house, Profiles in History, said. The buyer, who was relaying his bids over a telephone, was not immediately identified.